If you don't store your patio cushions over the winter months, they can get really dingy, and sometimes mildew can discolor them. 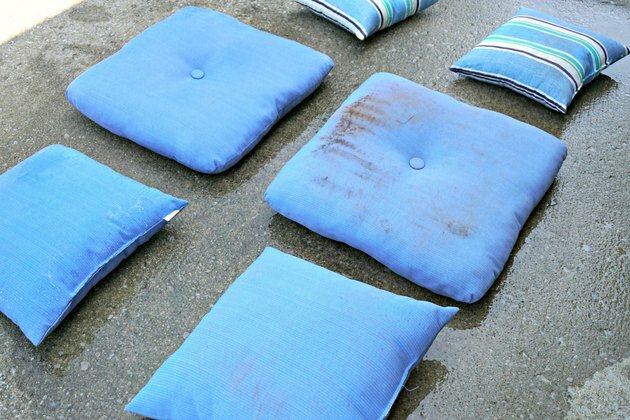 When it's time to get things ready for warm weather, if your cushions are dirty, you may consider throwing them out and buying new cushions. That can get really expensive! 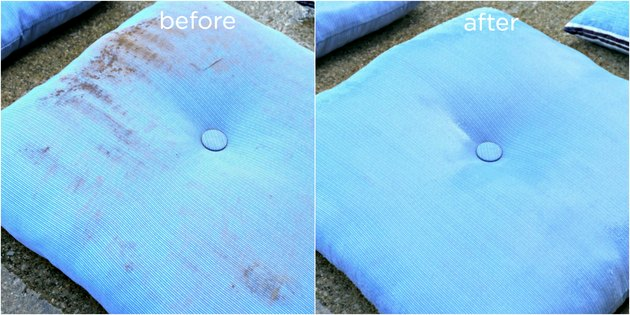 The good news is, there is an easy way to get them completely clean so you can save your money and enjoy the cushions for years to come! 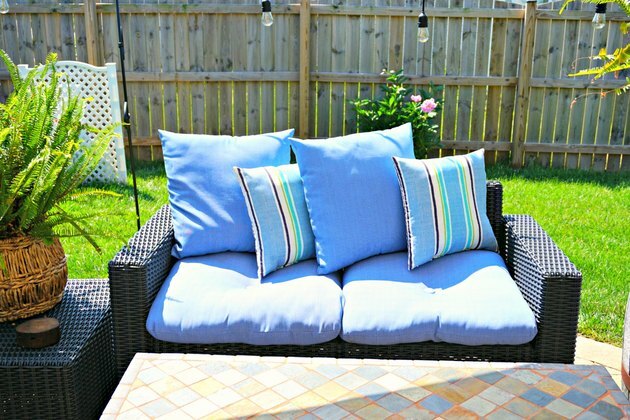 Simply lay your patio cushions out in your driveway, yard or any flat surface outside. If you don't own a pressure washer, you can sometimes rent one from a local hardware store pretty inexpensively. Follow the pressure washer's manufacturer's instructions for details on how to use the pressure washer. Attach the water hose to the pressure washer and turn the water supply on. Plug the pressure washer in and turn it on. 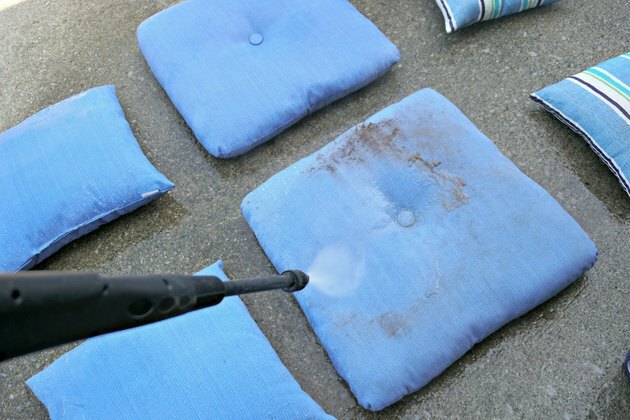 Press the spray trigger on the pressure washer nozzle and spray the dirt and mildew right off of your cushions. Watch them become as good as new right in front of your eyes! For really tough stains, just get your pressure washer nozzle as close to the stain as you can. 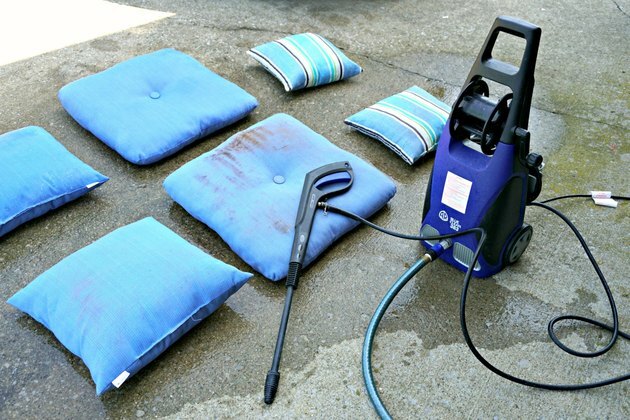 If your patio cushions are dry rotted, the pressure from the water and pressure washer could tear the fabric. This method should only be used on cushions with thick fabric. Once you have cleaned your cushions, allow them to air dry in the sun. Your patio cushions will look as good as new and be ready for you and your guests to enjoy all summer long! Bonus: This works great on bird messes too!